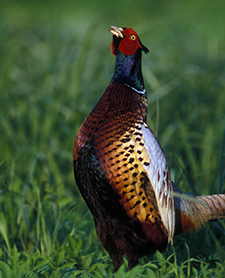 Pheasants Forever and Quail Forever (PF/QF) volunteers, members and staff work hand in hand with America’s farmers, ranchers and landowners to complete conservation and wildlife habitat projects that compliment working farm and ranch operations. 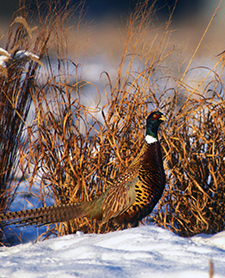 Habitat projects provide opportunities to protect and restore soil health, improve water quality, and enhance wildlife habitat supporting pheasant and quail populations, pollinators and other wildlife. Our nationwide “farm bill biologists” program is supported through diverse partnerships with USDA – Natural Resources Conservation Service (NRCS), Farm Service Agency (FSA), state wildlife agencies, and others. The program provides a “boots-on-the-ground” delivery system which collaborates with local farmers, ranchers, and landowners to educate and assist with enrollment in various voluntary incentive-based conservation programs. At PF/QF we work with the entire suite of USDA conservation programs. The policies and prgrams listed below are our organization's top priorities. We look forward to supporting a comprehensive suite of Farm Bill Title II programs that will benefit farmers, ranchers, hunters, anglers and society. *Modernize the CRP application and signup processes. Future signups should target larger blocks of habitat and reflect the “historic” distribution of CRP during 1990-2010 when in excess of 32 million acres were enrolled, and restore CRP authorization to 40 million acres. *Implement dynamic CRP transition strategies for expiring contracts. Provisions supporting additional working lands programs focused on long-term and permanent natural resource protection should be developed. Assisting farmers and ranchers with opportunities for grazing, cover crops, organics and other agriculture production systems should be considered. 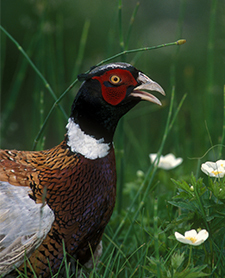 *Specific to quail life cycle requirements needs, future CRP should prioritize planting and managing native vegetation, create conservation practices and programs that have frequent disturbance encouraging early successional habitats, and increase incentives for pine tree thinning and prescribed burning. *Expand funding for EQIP and increase to 10% funds used for wildlife conservation practices. We strongly support the successful Working Lands for Wildlife Program and showcase the successful Sage Grouse Initiative in the West, Lesser Prairie Chicken Initiative in the Southern Great Plains, and eastern forest initiatives focusing on improving habitat for the Golden Winged Warbler and bobwhite quail. *We support funding of at least $500M per year. *This program provides both habitat improvements and supports public access for America’s hunters and anglers and should be continued at no less than $150 million over 5 years. *CTA funds are leveraged with local partner funds to deliver USDA conservation programs and provide technical support for farmers, ranchers and landowners. We support a robust funding level that ensures efficient and effective conservation program implementation that result in multiple benefits. *We support continuing these provisions to protect native habitats. The result is a balanced working lands ecosystem that consists of agricultural production systems and conservation. *We support maintaining and strengthening this program as a way to leverage local, state and other non-federal funding sources in order to create and enhance wildlife habitat on private lands.